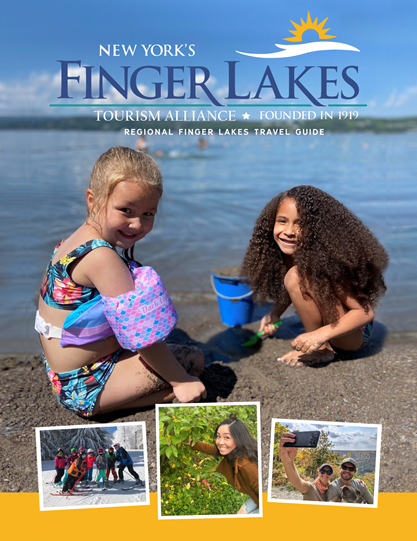 Everyone is on the lookout for a great deal and there are plenty of ways to save money in the Finger Lakes without sacrificing a quality experience. Packages are another great way to make the most of your vacation budget. Packages combine offerings from multiple locations into one deal, saving you some money in the process. Below, you will find dozens of great packages between two or more Finger Lakes area businesses and special offers at one business in particular. Spend some time browsing through the great deals below and you’re likely to find a bargain on an activity or accommodation you already planned on visiting. You could even find a great deal on something you’ve never considered before! Whatever the case, you’re sure to find an exciting discount for your next stay in the Finger Lakes. Stay at the Radisson in the heart of Corning's Gaffer District, and be in the heart of all the 2019 GlassFest activities! Shop 'til you drop at the Waterloo Premium Outlets, just 10 miles from the Gould Hotel! Stay at the Gould Hotel and experience the all new del Lago Casino! The hottest slots, thrilling game tables and marquee entertainers. Free shuttle service provided from the Gould Hotel! Are you a wine lover? The Gould Hotel Wine Lovers package is a great way to enhance your visit to the Finger Lakes wine region! Experience the Finger Lakes Wine Region with this all-inclusive wine tour package at the Gould Hotel that you won't find anywhere else! Stay in the heart of the Historic downtown at Radisson Hotel Corning and follow the Chocolate Trail, where you'll discover delectable delights available for purchase throughout Corning's Gaffer District!